Two more playwrights tell all, just in time for your July 4th celebrations! Sunil Patel: I really enjoyed the first Pint-Sized, and I was in the second Pint-Sized. Last year, I did submit a short play about two superheroes in a bar that I do like but, in retrospect, didn’t really fit in the festival. So, having seen two festivals, I thought about what sort of play would really be appropriate in a festival of shows centered around drinking beer, especially considering that I don’t drink. And it’s funny that you used the word “possessed,” because that’s what happened: I was possessed by this image of a guy talking to a giant beer that is trying to convince him to drink it, along with the title Man vs. Beer. I thought it would be a fun contrast to submit a piece about not drinking. Megan Cohen: This is my third year having a play in Pint-Sized. I work with Theater Pub a lot, but Pint-Sized tends to be my favorite show of the year because it really makes the most of the bar setting. Since all the shorts in the evening are meant to happen in a bar, it’s a totally immersive theater experience– the festival really invites the audience to live inside the plays, which I love. Sunil Patel: You have such a short time to develop your characters, you need to make every word count. You want your characters to have an arc, but you want it to feel natural and not rushed, even though any change will have to occur in a few minutes, rather than over an hour or two. Megan Cohen: People are less amazed afterwards than if you’d written a long play. A short one’s not actually easier– it’s a lot quicker, but in the time you spend writing and editing, it’s just as difficult. 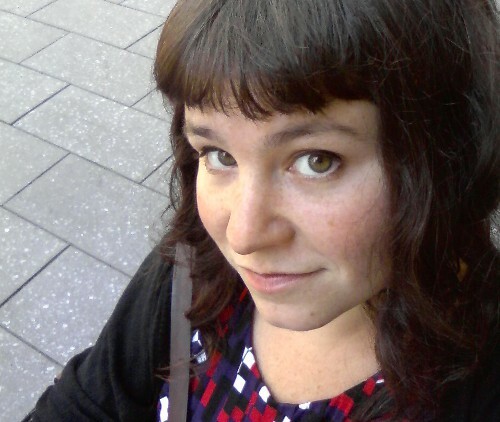 Megan Cohen: There are only two difficult things about writing: starting, and finishing. With a short play, finishing is easier than with a long piece just because you need less time– when you’re only aiming for a few pages, you have a genuine fighting chance of getting the whole thing done before you get distracted by a loud noise, hunger, facebook, a house fire, or by a so-called “better idea” that lures you away. Sunil Patel: There are some concepts that are uniquely suited to short plays: no one wants to sit and watch a guy talking to a beer for two hours. Well, unless it were a really interesting, erudite beer. With this play, I wanted to make sure it didn’t overstay its welcome; it was nice to know that it was designed to have a specific trajectory that lasts a short amount of time. I could simply stay focused on that rather than worry about supporting characters, subplots, or other things that can complicate longer works. Megan Cohen: Writer/director Charles Ludlam (founder of the “Theater of the Ridiculous”), and the devising ensemble Forced Entertainment are really huge for me. Tom Stoppard and Stephen Sondheim are the writers I wanted to be when I grew up, so they’ll always loom large. I really love the pilot episode of “Lost,” it’s sort of like an hour-long narrative manifesto for me right now. Lanford Wilson, of course; he was one of the first “real” playwrights who I actually worked with in the same room, and my work doesn’t sound like his at all tonally but his empathy as a writer and as a person are definitely a heartbeat in terms of what motivates me to write. 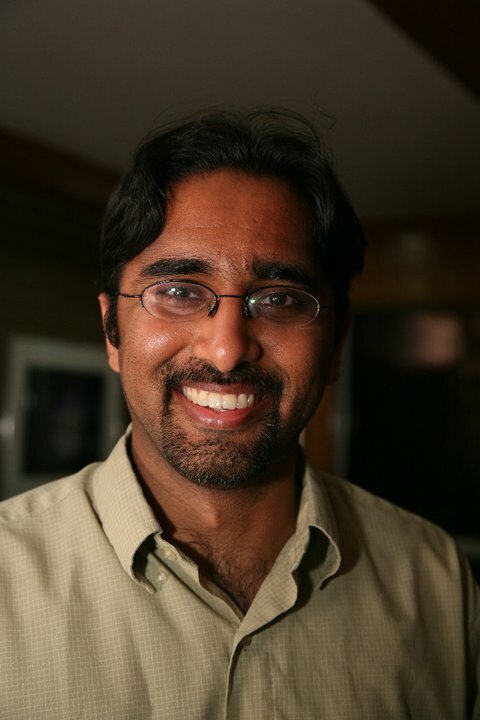 Sunil Patel: Joss Whedon. I think I’ve picked up a lot of his rhythms and dialogue quirks, especially his use of humor (though I am perhaps more fond of puns). And we both like taking unusual, ridiculous situations and characters and treating them with sincerity. Megan Cohen: Well, our actor (Allison Page) is already pretty famous– she performed with Bill Irwin this year, and has been in viral videos that pretty much a zillion people have seen– so, this question is basically moot, ’cause I have a celebrity already. But I always say– and it’s true of this piece as well– all the roles in all my plays are written for Madeline Kahn. Sunil Patel: Last year, I wrote the first act of an epic sci-fi drama called Gravity, and the second act was improvised, so I am trying to write my own second act. I am also working on a romantic comedy about a golem, tentatively titled The Dating of Gilgamesh. Megan Cohen: So far this year I’ve written my first game, my first TV script, and my first screenplay; next, I’m planning to write my first good TV script, and maybe my first novel. I also have a lot of projects bubbling for next year that I can’t talk too much about, but expect some adventures in transmedia storytelling with live and online components… and I am revising two full-length plays and drafting a whole new one… the new one is probably the craziest thing I’ve ever written. Sunil Patel: See above. I would love to finish both those projects this year, but life is busy! Megan Cohen: Oh man, I am working on like seven hundred things– I blog about them at http://www.megancohen.com, and tweet about them @WayBetterThanTV, so you can always keep tabs on me there! Megan Cohen: Really excited for the San Francisco Olympians Festival this winter– my play Zeus is on Dec. 20th, but I’ll be coming to as many of the other shows as I possibly can. I love the diversity of voices in the festival, a lot of different viewpoints and styles at work. Sunil Patel: Custom Made’s Merchant of Venice, because who doesn’t want to see American Psycho meets Mad Men? And Vamp’s It’s All in the Mix, because I have no idea what it is except this “DJ play” and I’ve never seen a play about a DJ. Oh, and Dark Room’s Princess Bride Live! Megan Cohen: Who’s buying? If it’s me, PBR. If it’s you, Consecration from Russian River Brewing.